But all this warm weather is definitely making us look forward to the summer and our 2015 season. We are finishing hiring our crew, getting some new horses, and soon Kurt and Austin will be busy starting their yearly projects to get ready for everyone to get here! And we absolutely cannot wait!! All this sunshine is making us dream about trail rides, cook outs, and fires outside the lodge (with s’mores supplies, of course). Soon we’ll be back into wildflowers and all-day rides! We are extremely fortunate this year that we are getting booked up so fast! Maybe some of you noticed on our website, but we are completely booked for July, almost booked for August, and June and September are filling up fast! So thank you so much everyone for staying with us this summer, and if you haven’t gotten your spot – please call us 🙂 We would love to get booked all the way up before the season starts! And if you really want to come see us, but we don’t have the dates you have your heart set on available, call us anyway, and we will put you on our Wait List for the season and let you know if we have any cancellations that may work for you. All of your Covered Wagon Ranch crew is really looking forward to meeting our new guests, and seeing all of you returnees again. Thanks so much for your support, and I know this is going to be a really memorable season. 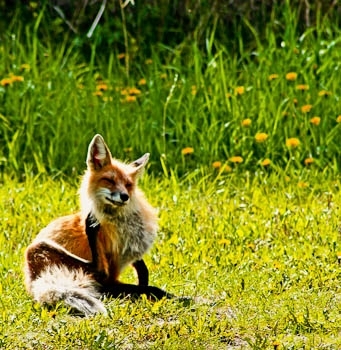 A Montana Pack Trip-A Fox-And A Bucket List-What’s In Common??? This is an amazing story and one that you may or may not believe-but it’s true. The business of dude ranching is so much more than horses and ranching and wildlife and spectacular country. It’s really the business of people-but only if you take the time to watch, sit and listen….and believe. This family (unnamed) visited the ranch about 3 years ago. A family of four: mom, dad, daughter and son. They came to ride and they specifically came to book a pack trip in the back country in our wilderness camps. It was August. We were long into our season and starting to get tired. And we were busy. If the truth be known, the wranglers were really struggling to make the trip. These pack trips are a lot of work for the crew and the ranch. Packing mules, preparing meals, being away for 3 days, etc. It’s a wonderful experience for the guests, as well as the crew, but it’s the preparation that’s overwhelming before it even starts. This family was insistent on taking this trip and we just couldn’t even figure out why-but it was extremely important that they go on this trip. So off they go-3 wranglers, 4 mules and the family of four. Gone for 3 days. 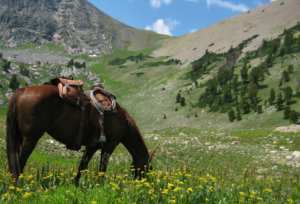 On the third day out and back to the ranch, they ride over a 10,000 foot mountain, with 360 degrees of spectacular views. you’re literally on top of the world. Once they reach this point, they soon return into radio contact with the ranch. We always anxiously await their call to make sure everything went okay. I Finally Get To Ride On My Own!! The day has finally arrived when Olivia turned six and she gets to go out on her own. Now she can ride with Mom, Dad and sister Madeline and not have to stay behind. I’ve never seen a happier child! Here she is on her horse, “Captain Safety” getting ready for her first ride at the trail head. It’s a big day for the whole family. Before she takes off on her first ride, she is given a thorough orientation on her horse (as do all guests at the ranch). I’m proud to say that Olivia did extremely well that week they were here. She went on every ride that her family did, including half day rides as well as full day rides! 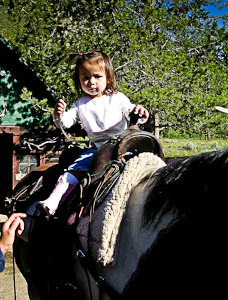 She finally got to experience the spectacular country that one can only see on horseback. 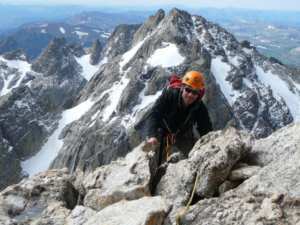 Our rides take us throughout the Gallatin National Forest, the Lee Metcalf Wilderness, and Yellowstone National Park. There were times she was pretty tuckered out, but she held her own with the best of them. 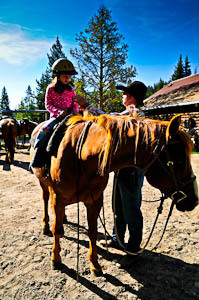 Here at the Covered Wagon Ranch, our horseback riding is our niche. We’re a small guest ranch, with only ten historic log cabins and a maximum capacity limited to only 24 guests. We keep our riding groups small and according to ability. At the very most, we have five guests to a wrangler and the guests get to participate in where and how long they want to ride each day. 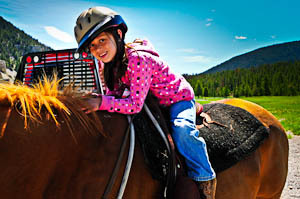 With over a million acres of forest and Park to ride through, our guests never get bored. If anything, it keeps them coming back for more! And here’s the exciting conclusion. Mia and John’s story will continue. They are now expecting another baby!! We’ll get to experience this whole cycle all over again. That’s dude ranching! So let’s continue our story about Mia, John, Madeline and Olivia at the ranch. Olivia was still too young to do much more than stay with Mom and Dad. They had to take turns going on rides since you have to be six to ride out on the trails. 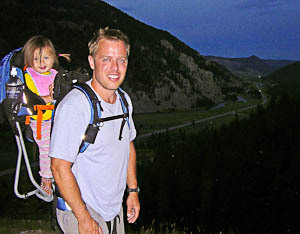 Here, John is hiking her up to Benson’s Point while Mia and Madeline are riding. The youngsters still get to enjoy the horses and are ponied around the ranch. As she “grew up” on the ranch each year that the family visited, she loved being around the horses, which is pretty common for the kids at our ranch. They feel like the horse is their own and spend time petting them and grooming them. The older she gets the more she realizes she wants to be a real cowgirl. Here’s a picture of Olivia as “Cowgirl Fashionista”. Next week, “Olivia Gets To Ride”! 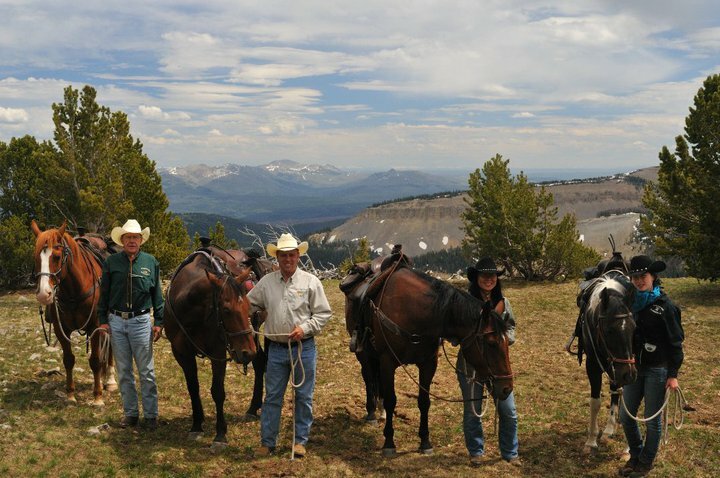 The Dude Rancher’s Association is a wonderful organization that preserves this special way of life and the wonderful environment in which dude ranching takes place. 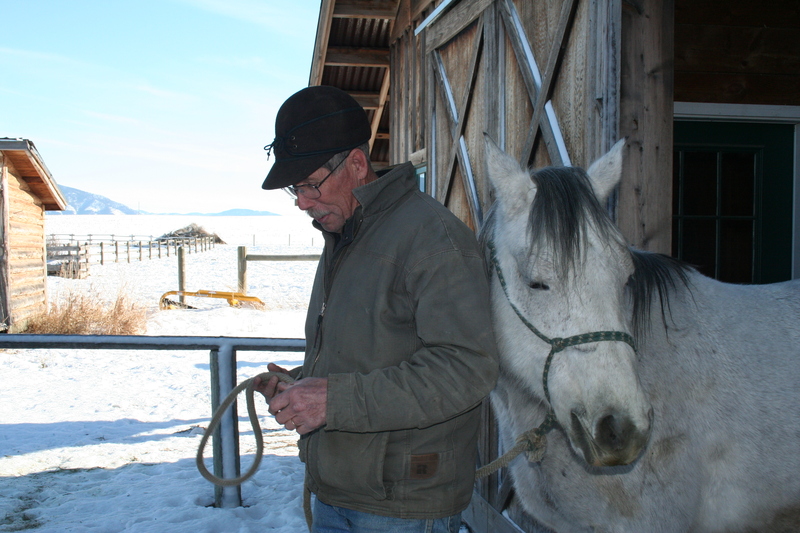 “Horses, Hats, Hospitality, Heritage, Honesty and Heart” are the core principles of dude ranching. 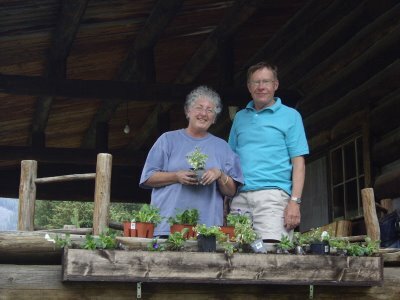 Here at the Covered Wagon Ranch we have the honor of following a family that has been visiting our ranch for several generations, and here is their story…..
Well before our (JT and Debi’s) time, this family from Minnesota has been coming to the ranch. I don’t know how many years in total that Judith and Ken have been visiting us, but I know it goes back there! I can always rely on Judith to tell me a story or two about the ranch from way back when. I love those stories and it helps us continue to get a better understanding of the history of the ranch. As time went on, family members continued to add to the family vacation. Eventually, Mia, Madeline, John and Olivia all started showing up on this annual tradition. Our story will start pre-Olivia.More time passes and next thing you know, Olivia starts to enter the picture. It was love at first sight. When Cordy visited us from Switzerland this year (and Erna too!!) we were really excited to have visitors from this country, although they will tell you I kept saying they were from Sweden. At least both countries started with “Sw…”! They took full advantage of all the ranch had to offer, including a Backcountry Pack Trip right from our Montana Dude Ranch, and tons of horseback riding. 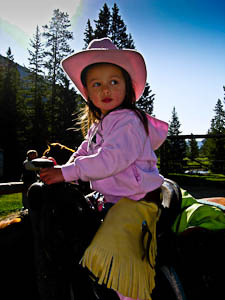 It was a perfect Montana Dude Ranch Vacation including trips into Yellowstone National Park. Cordy did not ride Annie (the mare, not the mule) for most of her stay. Towards the end she wanted to try a horse that was better suited for a more advanced rider. She (Cordy) is quite a cowgirl. She even has her own Western Store in Switzerland called “Western Store” (www.westernstore.ch). So the last few days of her trip she decided to ride Annie and just loved her. And Annie loved her as well! Cordy heads back home. The ranch finished out its season. Then next thing you know I get an email from Cordy that she wants to buy Annie and send her back to Switzerland! I have never done anything like this before and basically didn’t think it was possible. I (unintentionally) put just about every obstacle I could think of in front of Cordy, but she is quite a goal oriented, determined woman. Much like Annie! She worked on all the details that were necessary to have her transported overseas. This was quite an exciting process for me to observe (I have to say observe and not participate. She did all the incredible legwork). The time was drawing near. 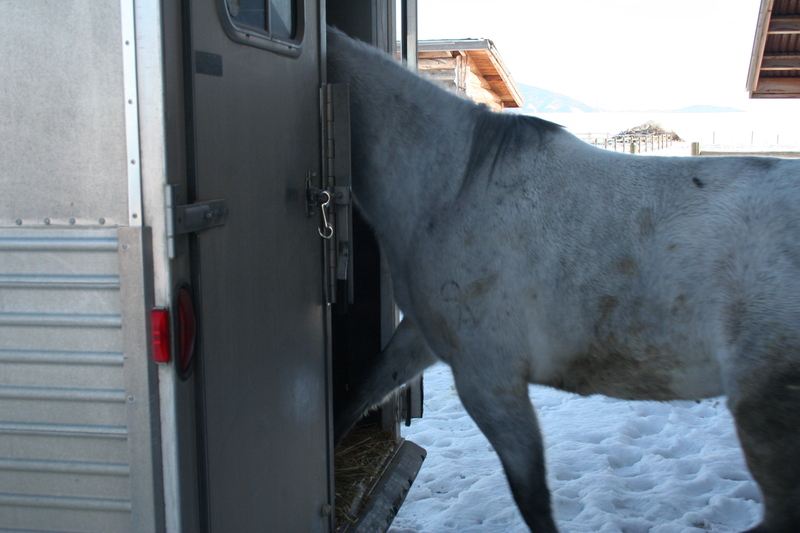 Her first attempt failed because Switzerland has a quota on how many horses they can ship into the country during the period of a year. They were full for 2010, so she had to wait until 2011. Then there’s the quarantine period, health checks, vaccinations, transporters, etc. that have to be arranged. But she charged forward and pulled this all together. Once I could see this was really going to happen, we had Boone haul Annie back to Bozeman to go through her health checks and vaccinations. She was pretty furry this time of year, as Montana has had some pretty cold weather for extended periods of time. 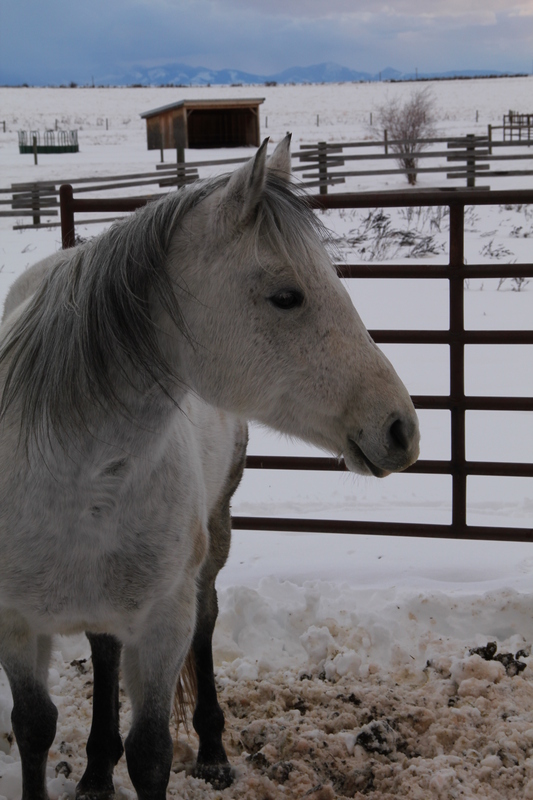 The next difficult step was coordinating all her health requirements and getting the vet out here. Sometimes he’s just pretty busy and hard to find. You never know where he is! It was all coming together pretty quickly now. Brand inspections, health certificates, vaccinations, etc were all being put together (might I add that JT was in Eastern Montana goose hunting during this time period??) (did I also mention that it was sooo close to Christmas??). So here is what Cordy had put together. First, there was a hauler from Twin Bridges, Montana that picked Annie up at my house. 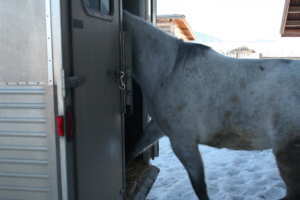 He actually had another horse in his trailer (an Arabian) that was going to Kuwait! He was driving them both to Utah. 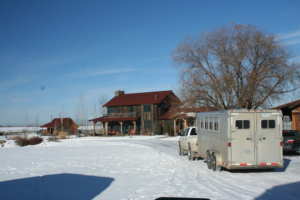 From there, they were hauled to Oklahoma, to this amazing company called Nedpoint Quarter Horses (www.nedpoint.com). Here they quarantine the horses for thirty days, then transport them, via plane, to Amsterdam. From that point they are hauled to where-ever else they go. Nedpoint was really fun to work with. Watch their video! So Annie was loaded up on the trailer and headed to Utah. 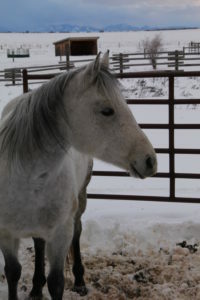 Some pretty significant snow storms delayed the trip to Oklahoma, but in a few days she was on her way again. She is now stalled at Nedpoint, waiting for her trip to Amsterdam on January 21! Good luck Annie! What an adventure. 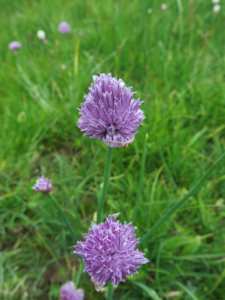 And thank you, Cordy, for taking such good care of her. It’s a rare occasion that a Covered Wagon Ranch horse gets sold. But when you know it’s the best thing for both parties, you can’t stand in their way. I’ll keep you posted when we hear she made it safe and sound to Switzerland! 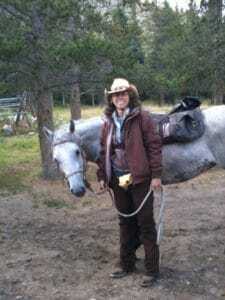 Cowgirls Only Week on a Montana Dude Ranch! What a great group of women! The week is over and the ranch is in the process of closing down. But it went out with a bang! The last week of our Montana Guest Ranch season was filled with Crazy Women Riders (yes, Dawn, I’ve stolen your caption!!). The weather was beautiful, the rides were long, and the fun was filled with laughter all week. 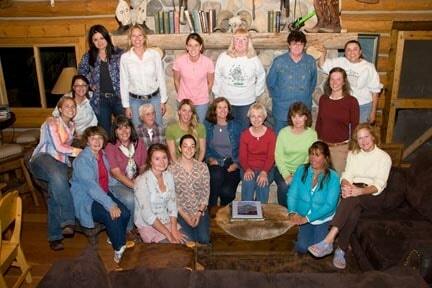 Our first Annual Cowgirls Only Week was a huge success. Our Montana Dude Horses will never be the same!! Isn’t history wonderful? 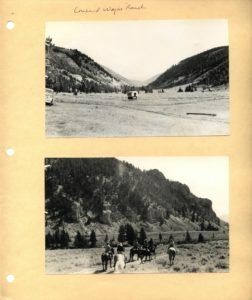 We are so grateful to the DeVore family, and especially Jennifer DeVore, for providing us some photographs of the ranch that started back in the 30’s! 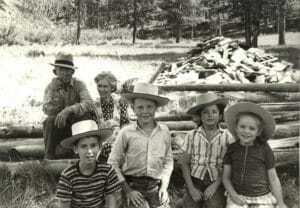 The DeVore family had been coming to the ranch for generations since the 1930’s. 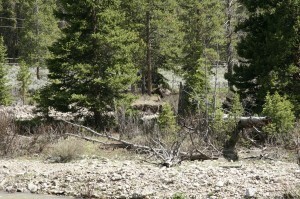 Here is a photo Jen provided that was taken at Cameron Springs (near the draw) . It’s a picture of Charles and Emma Cameron with grandchildren (including Cameron DeVore-Jen’s father). Sadly, Jennifer’s father, Cameron DeVore, passed away this year, but Jen said the family is going to try and arrange a family reunion this year at the ranch. I think they would be pleased to see how well we have taken care of this ranch. Jen is going to forward an old Cowboy songbook she found, which was put together by her uncle, Charles DeVore (who also sadly passed away several years ago). Charles put the songbook together specifically for the Covered Wagon Ranch, and sure to be used around the campfire next summer! 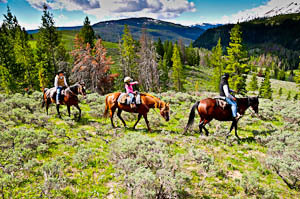 Who’s the first guest for a Montana Dude Ranch Vacation? Well, the weather is fabulous. The crew is working hard. And the wranglers are riding and clearing the trails getting ready for you. As they went out for a ride, Lee and Val spotted our first guests right on the ranch! Can you see the baby? They’re living right at ranch by the corrals! 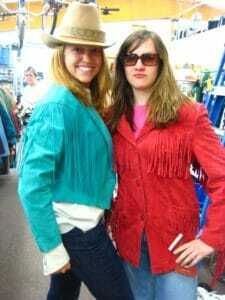 Meanwhile, what do a couple of cowgirls wear when they work at a Montana Guest Ranch?? Well, Erin and Katie thought it was time to support the local economy and see what they could find before they ride a couple of Montana Dude Horses! We love you guys, and all your FABULOUSNESS!! 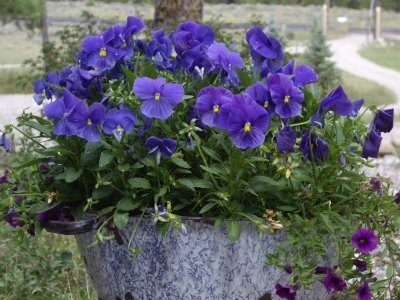 When you are a guest for the first time here at the Covered Wagon Ranch, we do our best to treat you like royalty. After that, you are no longer a guest but a friend. And friends help each other out. So we put you to work and you’re lucky if you get so much as a door opened for you. 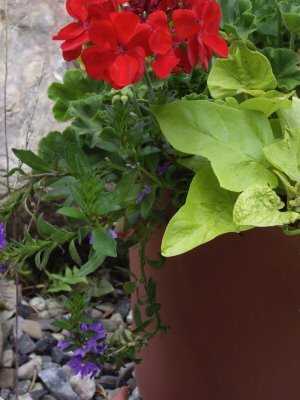 For example, early this year, we needed some flowers planted. So we put Judith, a long time friend of the Covered Wagon, right on it. She and her husband, Ken, did a wonderful job, and the flowers still look amazing. 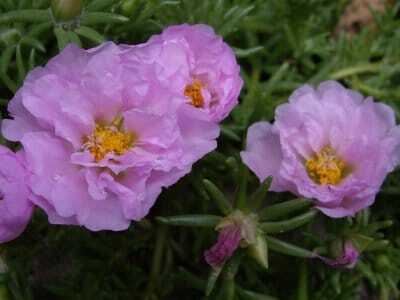 I took these pictures just half an hour ago. 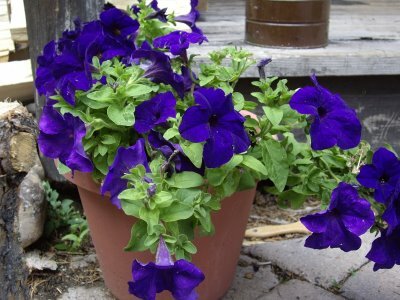 They are on the porch of the lodge, on the patio and on the porches of all the cabins. They are gorgeous. Thank you Judith and Ken. We love you!